The presence of gang activity in the vicinity of schools poses a risk to staff and student safety and school security. Intimidation of staff and students by gang members has a large impact on the educational environment and perception of school safety. The School Crime Supplement to the National Crime Victimization Survey asked students ages 12–18 if gangs were present at their school during the school year. In 2009, about 20 percent of students ages 12–18 reported that gangs were present at their school during the school year. ​This was a decrease from the 23 percent of students who reported a gang presence in 2007. A higher percentage of students from urban schools (31 percent) reported a gang presence at their school in 2009 than students from suburban and rural schools (17 percent and 16 percent, respectively). While the percentage of students from suburban schools who reported a gang presence at their school was lower in 2009 than in 2007 (17 vs. 21 percent), the percentages of students from urban and rural schools who reported a gang presence were not measurably different between the same years. 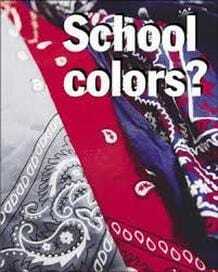 In 2009, approximately 22 percent of students attending public schools reported that gangs were present at their school compared with 2 percent of students attending private schools. There were no measurable differences in the percentages of male and female students who reported a gang presence at their school in 2009—approximately 21 percent of males and 20 percent of females reported a gang presence during the school year. The percentage of female students who reported such was not measurably different between 2009 and 2007; however, the percentage of male students who reported a gang presence was lower in 2009 than in 2007 (21 vs. 25 percent). The percentages of students reporting a gang presence at school varied by their race/ethnicity in 2009. Higher percentages of Hispanic students (33 percent) and Black students (31 percent) than White students (14 percent) and Asian students (17 percent) reported the presence of gangs. Students' reports of a gang presence at their school also varied by grade in 2009. The percentages of students in 6th through 8th grade, for example, who reported a gang presence at their school were lower than the percentages for students in 9th through 12th grade. Eleven percent of 6th-graders reported the presence of gangs, compared with 25 percent of 9th-graders and 28 percent of 10th-graders. The percentage of students in 10th-grade who reported a gang presence at their school was higher than the percentages of students in 11th grade (23 percent) and 12th grade (22 percent) who reported a gang presence. Approximately 360,000 teenage boys belong to gangs, as do 32,000 teenage girls, according to statistics compiled by the web- site helpinggangyouth.com. The National Youth Violence Prevention Center says that one- fourth of gang members are ages 15-17. The average age of all gang members is 17-18. According to the National Longitudinal Survey of Youth, 8 percent of youth between the ages of 12 and 17 have belonged to a gang or are a member of a gang. In some cities, that figure is far higher. Youth who join gangs typically start associating with a gang at age 12 or 13, and join the gang at age 13 to 15, according to research cited in the December 2010 Juvenile Justice Bulletin. A survey of nearly 6,000 eighth graders in 11 cities with known gang problems found that 9 percent of the eighth graders were currently gang members. Seventeen percent reported that they had belonged to a gang. Tips for Schools: What can you do to help prevent gang violence? Teachers, and support staff are the Eyes and Ears of the school. Therefore, employees need to know what information to channel and who to channel it to. Always gather as much information as possible before presenting it to the administration. Documentation is very important. Also, be as low keyed as possible. Drawing attention to the gathering of documentation could cause more harm than good. Be aware of what information is pertinent to gang activities. Document and report gang related activities to the proper authorities. Develop and enforce a clear, no tolerance policy regarding gangs, drugs, weapons and graffiti! Always deal with an individual student privately. Dealing with them in front of their peers validates "gang affiliation or membership" which is what they want. Look for, document and report warning signs! Always deal with an individual – don’t deal with them in front of their peers – that will validate “gang” which is what they want.